Recent studies have found that glycol ethers, toluene, and several other well-established chemicals known to cause birth defects and miscarriages are prominent in the gas extraction process known as fracking. This law firm has been litigating cases involving exposures to the same toxic chemicals on behalf of children with birth defects whose parents were working in semiconductor manufacturing and other industries. Hydraulic fracturing—also known as “fracking”—is a process in which certain geologic formations are fractured in order to release natural gases that are often otherwise trapped beneath the Earth’s surface. Fracking has been considered a success within the industry as it makes difficult-to-reach natural gas deposits more accessible, thus making this process a profitable venture for energy companies. However, recent studies have found that chemicals that can cause birth defects, also known as teratogens, are involved in the process of fracking. As this technology becomes increasingly prominent within the energy industry, it is important to keep an eye on how this developing technique affects certain communities. The first step in the process of fracking involves drilling a large well into the ground that can extend thousands of feet below the surface of the Earth. The well, as shown in the diagram to the right , makes a turn to horizontal drilling once it reaches the shale (or rock formation), making accessing and later breaking up the rock formation more efficient and profitable. A casing, most often made up of layers of steel and cement, is then inserted around the walls of this well. The casing is perforated so that areas in the ground which contain oil or gas are targeted later in the process. Fracturing fluid is then injected under high pressure into the well and goes through these perforations in order to fracture, or break up, the targeted rock formation. The fluid is then removed from the well. The pressure created from this process of extracting the fluid from the well causes the natural gases or oil embedded within the formation to be released into the well and brought up to the surface. Although the fracturing fluid itself is made up of 98-99.5% water and sand , a single fracking job requires 39,000 gallons of chemicals within that fluid . It is these chemicals that pose such a health risk. Many of the chemicals used in the fracking process, such as ethylene glycol, ethanol, methanol, and toluene, are known teratogens, meaning they are known to cause birth defects. The toxicity of these chemicals, and therefore the fracking fluid, combined with the fact that much of the fluid can be left behind once the process is finished can prove to be a devastating hazard to those who live near or come in contact with the fracking process. In fact, recent studies have shown that anywhere from 25-80% of fracking fluid used for a specific fracking job may be left behind beneath the surface . The contaminated fluid can seep into groundwater creating the potential for consumption by nearby residents. Moreover, these residents can also be exposed to the chemicals as they are removed from the well and stored before being taken to a water treatment plant. Furthermore, the water that is removed from the ground contains not only the chemicals in the fracking fluid, but also natural elements that may have been pulled out of the Earth . With countless health risks associated with this process, Thornton Law Firm is dedicated to pursuing legal claims on behalf of those that have experienced birth defects as a result of their exposure to hydraulic fracking. Data now exist on the levels of these toxic chemicals that are found in drinking water and ambient air in areas with prominent fracking. Using this information, coupled with the long-established medical and scientific link between these chemicals and certain birth injuries, we believe we can change the gas industry’s practices on fracking with successful litigation that will make them pay significant verdicts for the injuries they have caused. For over 10 years, Thornton Law Firm has pursued such lawsuits using the leading experts in the fields of reproductive medicine, epidemiology and exposure assessment. We have recovered significant multi-million dollar settlements on behalf of such children, allowing for them to receive proper care and treatment for the remainder of their lives. Contact the Boston law firm of Thornton Law Firm LLP at 1-888-491-9726 or a free consultation with a recognized leader in personal injury litigation. For more information, please contact Thornton Law Firm for a free consultation. ProPublica. (n.d.). What Is Hydraulic Fracturing? ProPublica.com. Retrieved January 9, 2013 from https://www.propublica.org/article/hydraulic-fracturing-national. FracFocus. (n.d.) Hydraulic Fracturing: The Process. FracFocus.org. Retrieved July 31, 2013 from http://fracfocus.org/hydraulic-fracturing-how-it-works/hydraulic-fracturing-process. Lustgarten A. (2009, December 27). 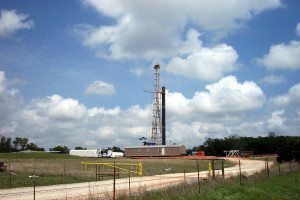 In New Gas Wells, More Drilling Chemicals Remain Underground. ProPublica.com. Retrieved January 9, 2013 from https://www.propublica.org/article/new-gas-wells-leave-more-chemicals-in-ground-hydraulic-fracturing. Schmidt CW. Blind Rush? Shale Gas Boom Proceeds amid Human Health Questions. Environmental Health Perspectives. 2011;119(8):A348-53.